Old age can be merciless—so imagine a chance instead to glow old, not grow old, with greater vitality than you ever hoped for! Scientists have spent decades researching natural solutions that could help you become an age-defying wonder with strong joints, clear vision, youthful skin, a sharp memory and boundless energy. Today, incredibly convincing evidence indicates that one super-nutrient can help you do it all. In fact, researchers haven't been this excited since omega-3s and CoQ10 revolutionized heart health. And many believe this is even bigger! I'm Joshua Corn, Editor-in-Chief of Live in the Now, one of the fastest growing natural health publications in the nation. My passion for natural health has always driven me to educate people on alternative solutions that are both safe and effective. The super-nutrient I'm talking about is called astaxanthin, and it's the most powerful antioxidant ever discovered. As more and more human studies roll in, I've become absolutely convinced that this may be the single most essential anti-aging supplement of all. Please keep reading to learn more. I've spent my career seeking answers for age-related conditions like heart problems, joint discomfort, vision issues and blood sugar imbalances. In virtually every case, the degenerative decline associated with aging is triggered by something called oxidative stress, and it can turn your life after 50 in to a painful, debilitating journey. You see, oxidative stress never slows down in your body, as free radicals pound away at healthy cells. Unfortunately, these free radicals stay trapped inside your body where they damage healthy cells and deplete cellular energy. 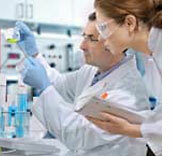 In fact, they damage your very DNA, accelerating the aging process and raising the risk for serious health problems. You simply must protect yourself from harmful free radicals. And astaxanthin is the most powerful free radical fighter on earth. • and 6,000 times stronger than vitamin C! Singlet oxygen is linked to deadly cholesterol oxidation in the arteries, DNA damage and damage to skin, eyes and other tissues in the body. In fact, its destructive effects have been tied to a wide gamut of age-related health concerns. And it gets better. As it turns out, astaxanthin's molecular composition allows it to cross the blood-brain and blood-retina barriers that other antioxidants can't cross. That's right: many antioxidants can't protect your brain and eyes because they can't get through to the cells that need protection. But astaxanthin can. That means astaxanthin can scavenge free radicals and singlet oxygen in your brain, eyes, joints and central nervous system in ways ordinary antioxidants simply can't. In fact, astaxanthin can enhance your health in so many possible ways that I call it the "magic bullet" of antioxidants. The secret to lifelong comfort is keeping your cartilage healthy, and a big part of that is fighting off oxidative stress in cartilage collagen. If you don't, the constant free radical attacks trigger tissue degradation that can make joints feel like agony. Some people may tell you that the soreness and stiffness are just an unavoidable part of aging. Those people are wrong! Astaxanthin protects against this free radical breakdown better than any other nutrient. One well-known University of Memphis study found that astaxanthin eased discomfort even after strenuous exercise. Another study in the Journal of the American College of Nutrition reported reduced pain and greater mobility among people with joint pain after taking astaxanthin for only eight weeks. Astaxanthin acts to lower important inflammatory markers, slowing production of inflammation and pain-causing enzymes. In one study, volunteers taking astaxanthin for 2 months saw their levels of C-reactive protein (CRP) plummet. CRP is an important marker of inflammation in the body—and high CRP levels affect heart health. If you've never linked antioxidants with cholesterol management, you're in for a big surprise because this may be one of astaxanthin's biggest benefits of all. One study found that LDL ("bad" cholesterol) was significantly lower among overweight individuals after just 12 weeks of taking astaxanthin. What's more, another study found that astaxanthin raised "good" HDL cholesterol and reduced triglycerides. Astaxanthin supports artery health, too. Studies indicate that it helps stop LDL cholesterol from oxidizing so that it won't clog up and harden your arteries. And this artery-scrubbing effect means better circulation, too. Remember, astaxanthin can cross the blood-retina barrier to positively impact eye health. In fact, it's the most powerful antioxidant among the carotenoids, which are well known for their eye-protective capabilities, and it's been shown to be 5 times more potent than lutein, perhaps the most well-known "eye nutrient" of all! Astaxanthin has been called the most "brain-friendly" antioxidant of all. So why just cross your fingers and hope your cognitive skills stay strong as you age? Scientists know that oxidative stress on brain cells can lead to memory loss and cognitive problems. That's because about 30% of the brain's mass is highly susceptible to oxidation damage. However, it's been proven that astaxanthin's unique ability to cross the blood-brain barrier allows it to "get in" and protect brain cells better than any other antioxidant known. In fact, a study published in the prestigious Brain Journal singled out astaxanthin's potential brain-health benefits and its ability to fight oxidative damage that can lead to mental decline. Most people rely on marginally effective lotions to keep their skin looking young. But the fact is, the most effective protection for your skin comes from within. You see, free radical damage is the biggest threat to your skin. And while you see the effects on the outside, astaxanthin helps heal and protect from the inside. A recent study at the Johns Hopkins Center on Aging and Health found a clear link between carotenoids, such as astaxanthin, and improved muscle strength activity levels. That's because, once again, oxidative stress and inflammation cause muscular problems, fatigue and weakness, while astaxanthin protects you from the oxidative damage that contributes to fatigue and weakness. Studies suggest astaxanthin may help improve stamina, and inhibit the formation of lactic acid during exercise that can make your muscles ache. It has become popular among athletes for this reason, and you too will find that astaxanthin makes exercise easier and more enjoyable. If you're sold on astaxanthin's amazing benefits, what's next? Simple. Find the highest-quality astaxanthin, in the optimal serving size, at the right price. Now, it's true that astaxanthin is found in salmon and shellfish, but that's not the best way to go. You'd have to eat wild salmon every day to get enough, and then you'd be overexposed to ocean pollutants like mercury, which is the last thing you want. Supplementation is your best choice, and even that route has red flags to avoid. 1. Make sure the bottle says "natural astaxanthin" and that it is derived from the marine algae species H. pluvialis. Avoid synthetic astaxanthin, which is far less potent. 2. You need to take 4 milligrams per day. Anything less and you won't be getting clinically beneficial amounts. 3. Don't pay more than $25 for a one-month supply. Many companies are taking advantage of the hype and charging more than double this. 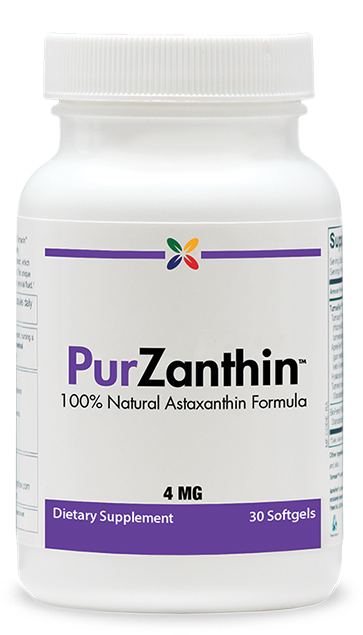 The astaxanthin supplement that I take myself and personally recommend is called PurZanthin™. It's simply the best and most affordable astaxanthin on the market. Now I must disclose that in addition to being Editor-in-Chief of the Live in the Now natural health newsletter, I also run Stop Aging Now, a company that has been making premium grade supplements for nearly 20 years. • PurZanthin is made from Zanthin®, a superior source of natural, purified astaxanthin derived from the H. pluvialis species of microalgae. In fact, this special patented astaxanthin was the first to earn regulatory approval in both Europe and the United States, in no small part because of its pioneering extraction and stabilization processes. PurZanthin assures you unparalleled quality and purity—and you'll see and feel the difference. • PurZanthin is highly concentrated so just one small easy-to-swallow softgel per day contains the recommended clinical dose of 4 mg. According to Dr. Rudi E. Moerck, one of the world's leading astaxanthin experts, "A 4 mg dose of astaxanthin per day is an excellent intake of this potent antioxidant...this dose will maintain an effective level of astaxanthin in the body, especially in membranes of the joints, eyes, brain and muscle [and] you will always have good levels of this king of carotenoids." • PurZanthin is made in a state-of-the-art, FDA-inspected facility to meet or exceed U.S. Pharmacopeia (USP) standards for purity, quality and potency. • PurZanthin costs as low as $9.95 per bottle, which is up to 4 times less than similar high quality brands! Plus it ships to you for free and comes with an "any reason" 365-day guarantee. And the feedback we get from our customers may be the best reason to give it a try! Once PurZanthin builds up in your body to clinically beneficial levels, there's no mistaking its value. Most people begin noticing PurZanthin's healthful benefits within 7 days! The longer you take PurZanthin, of course, the better it will work and the more benefits you'll experience. So why not see what this premium astaxanthin complex can do for you? It's Backed by Our 365-Day Money-Back Guarantee! We stand behind PurZanthin 100% with one of the best guarantees in the business. If you're not completely thrilled with PurZanthin, I'll gladly send you a full refund—up to one year after purchase. It's as simple as that! And PurZanthin ships to you free, so you risk nothing to give it a try! Per Bottle + FREE SHIPPING—ORDER TODAY! P.S. Remember, our 365-day money-back guarantee is carved into stone. You must be completely satisfied with PurZanthin or we'll refund your money...no questions asked. PurZanthin is not available in stores, so order now! 1. Fry, A. Astaxanthin Clinical Trial for Delayed Onset Muscular Soreness. Human Performance Laboratories, The University of Memphis, Report 1, August 16, 2001. 2. Nir, Y., Spiller, G. Journal of the American College of Nutrition. 21(5):Oct, 2002. 4. Choi HD, Youn YK, Shin WG. Positive effects of astaxanthin on lipid profiles and oxidative stress in overweight subjects. Plant Foods For Human Nutrition. 2011 Nov; 66(4): 363-9. 6. Miyawaki H, Takahasi J, Tsukahara H, Takehara I. Effects of Astaxanthin on Human Blood Rheology. Journal of Clinical Biochemistry and Nutrition. 2008 September; 43(2): 69?74. 7. Nakagawa K et al. Antioxidant effect of astaxanthin on phospholipid peroxidation in human erythrocytes. Br J Nutr. 2011 Jun;105:11, 1563-71. 9. Liu X, Shibata T, Hisaka S, Osawa T. Astaxanthin inhibits reactive oxygen species-mediated cellular toxicity in dopaminergic SHSY5Y cells via mitochondria-targeted protective mechanism. Brain Research. 13 February 2009, Pages 18-27. 11. Pashkow, FJ et al. Astaxanthin: A Novel Potential Treatment for Oxidative Stress and Inflammation in Cardiovascular Disease. Am J Cardio. 22 May 2008;101:10, S58-S68. 12. Kim YJ, Kim YA, Yokozawa T. Protection against oxidative stress, inflammation, and apoptosis of high-glucose-exposed proximal tubular epithelial cells by astaxanthin. J Agric Food Chem. 2009 Oct 14;57(19):8793-7. doi: 10.1021/jf9019745. 13. Park JS, Chyun JH, Kim YK, Line LL, Chew BP. Astaxanthin decreased oxidative stress and inflammation and enhanced immune response in humans. Nutr Metab (Lond). 2010 Mar 5;7:18. doi: 10.1186/1743-7075-7-18. 14. Alipanah et al. Low Serum Carotenoids Are Associated With A Decline In Walking Speed In Older Women. The Journal of Nutrition, Health & Aging. 2009, 13; 3: 170-175. 15. Malmsten C. 1998, Dietary supplementation with astaxanthin rich algal meal improves muscle endurance - double blind study on male students. Unpublished. 16. Sawaki, K. et al. (2002) Sports performance benefits from taking natural astaxanthin characterized by visual activity and muscle fatigue improvements in humans. Journal of Clinical Therapeutics & Medicine 18(9):73-88. *Testimonial results not typical. Customers may have received a gift certificate after submitting their testimonial. The information contained above is for general consumer understanding and education, and should not be considered or used as a substitute for medical advice, diagnosis or treatment. This product is not an alternative to any prescription drug. If you are currently taking a prescription drug, consult your doctor before making any changes. These statements have not been evaluated by the Food and Drug Administration. This product is not intended to diagnose, treat, cure or prevent any disease. Testimonial results not typical. Customers may have received a gift certificate after submitting their testimonial. All contents Copyright 2001-2019 Stop Aging Now, LLC. All rights reserved. Republishing of Stop Aging Now content without written authorization is strictly prohibited.